When my desktop application for Facebook Messenger, Messenger or Desktop, wanted me to install an update and I found out that the update wanted to install a web browser extension and otherwise pollute my computer, I uninstalled it. Having a desktop app can sometimes be convenient, even though it has basically the same functionality as the corresponding web interface. 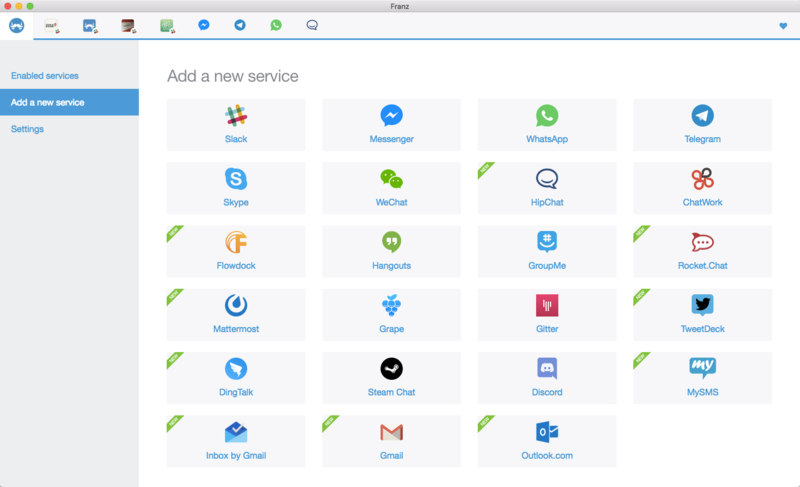 So, I googled and found Franz, a desktop messaging app that supports a bunch of messaging services and is available for Windows, Mac and Linux. So far I like it.